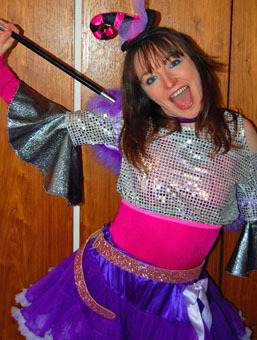 Marvellous Mona is a bubbly, cheeky, hugely enthusiastic children’s entertainer who brings deliciously creative fun to any party or event. She entertains with musical games, bubble games, a puppet mascot, balloon modelling, face painting (glitter tattoos), singing, dancing and a short but super magic show too. Mona has loads of costumes for different themed events. She is a huge fan of dance and dancing and is a dancer and dance teacher herself. Mona is based in London.